This being the start of the most food-focused week on America’s calendar, I thought it timely to share our experience at the Columbia Restaurant in Tampa, FL. Happy Thanksgiving, from our family to yours! 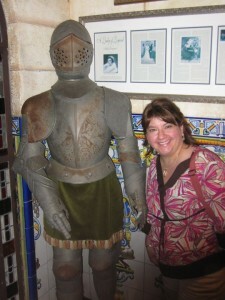 Our date night included The Columbia Restaurant, the world’s largest Spanish restaurant. The Columbia welcomes families, so we could have brought the kids, but The Girl in particular would probably not appreciate the wait for our made-to-order meals. The Columbia is actually a chain of seven restaurants throughout Florida, but the original location is in historic Ybor City. Tampa’s “Latin Quarter,” Ybor City is where Cuban immigrants built a home away from home in the early 1900’s. You can make a day of exploration here, visiting the Ybor City Museum State Park, Centro Ybor, and José Martí Park. Strolling along Seventh Avenue is also a treat, with shops, cigar shops, and even a hookah bar. We took advantage of the time we had sans offspring to take in a few of these sites, capping off our afternoon with an early dinner. Sometimes Matt is so guarded with his innermost feelings. I smile through the pain of not being able to penetrate his emotional armor. Three highlights make dinner at the Columbia a special occasion: the architecture and ambiance; the food; and the flamenco show. 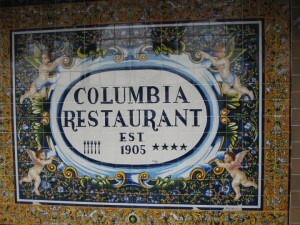 Over 100 years old, the Columbia boasts authentic Spanish and Moorish architecture, original art, and decor. There are touches of vibrant tile work, natural stone, stained glass, and stately wrought iron in nearly every room. There’s a lovely mosaic-tiled fountain in the Patio Dining Room. Paella “a la Valencia” is the most popular dinner dish on the menu here, with about 400 orders served on a typical Saturday evening. 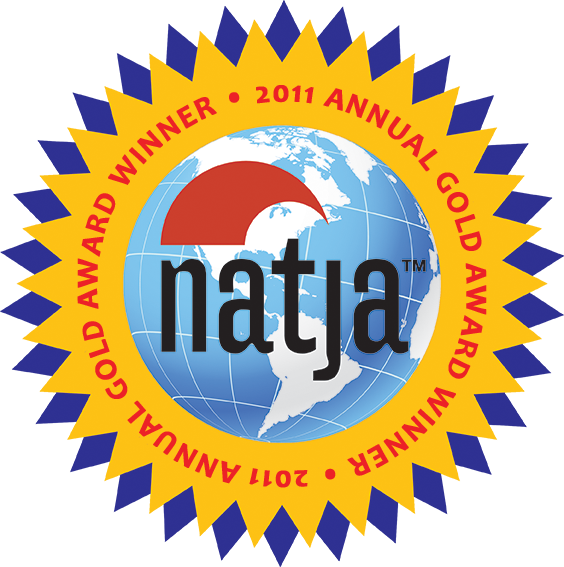 The Columbia’s other signature dishes include Snapper “Alicante,” Pompano en Papillot, Filet Mignon “Columbia,” and the original “1905” Salad, which was named “One of America’s Top 10 Best Salads” in 2008. I had the paella, and Matt had the Steak Salteado, made with smoky, succulent chorizo. He always orders the better dish…always. I don’t know how or why. He’s become used to dividing up his meal and handing some over to me, rather than subject his dish to the inevitable attack from my fork and knife. Matt won't eat anything which swam in a former life. 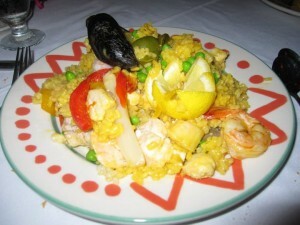 Oh well; more paella for me!